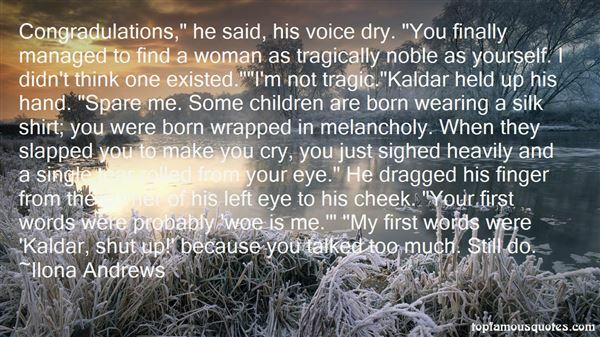 Reading and share top 593 Ilona Andrews famous quotes and sayings. 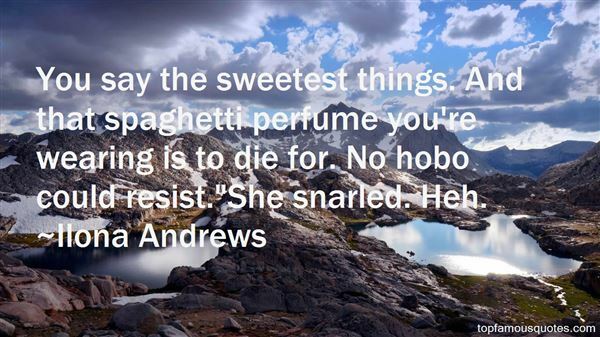 Browse top 593 most favorite famous quotes and sayings by Ilona Andrews. Brandon stared up at her with a dangerous, self-satisfied grin. "What are you looking at?" she said, teasing.Brandon responded without hesitation. "The most beautiful sight I've ever seen." What Did Ilona Andrews Talk About?